Not everyone is headed to the tropics this Summer! 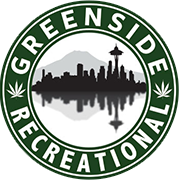 At Greenside Recreational, you can find premium cannabis products that provide a glimpse of paradise. Put on some Beach Boys, get out that old pair of Birkenstocks and pour yourself a glass of sweet iced tea – it’s time for a Seattle staycation. Evergreen Herbal produces Cannabis Quencher, a sparkling beverage containing 30 milligrams of THC per bottle. Nothing says summertime quite like lemonade, and this fizzy treat is no exception. Alike to bottled sunshine, effects are balanced, euphoric and bubbly. Limonene is a terpene that can be found in both cannabis and citrus fruits. Its aroma is typically associated with a number of citrine fruits and is sure to promote relaxation and cleansing – perfect for a mental getaway. BotanicaSEATTLE is a parent to many excellent sub-brands including Bond Sensual Oil, SPOT Edibles, Mr. Moxey’s Mints and more. Make your staycation one to remember with Bond – this cannabis-infused oil is designed to take your sensual experiences to new heights. Try this clever creation for a far out night and memories that will last a lifetime. Unlike your last trip to Hawaii, you may not want to post any photos on Facebook. Suncliff is a cannabis company that offers Sips, a line of vaporizers. Variations of these portable cartridges include Creative, Calm, Social and Energetic. Creative is popular for its promotion of energizing and imaginative effects. Mandarin is stated to be a citrusy hybrid. This CO2 extraction is available in a convenient and portable cartridge. Citrus top notes from the added terpenes will whisk you away to somewhere sunny and warm. Next It’s Time for the Bite of Seattle!